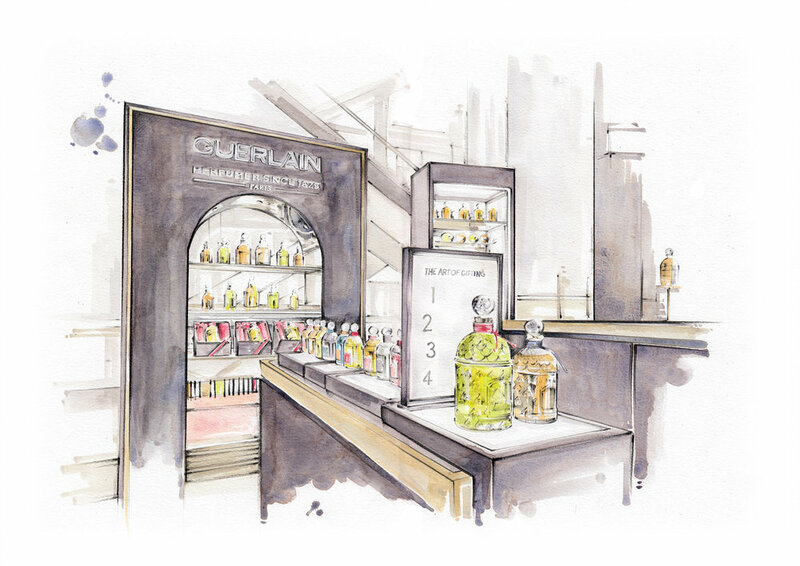 I have varied experience with working with design agencies; working for a range of clients for retail, interiors, window displays, events, web, print and experiential projects. 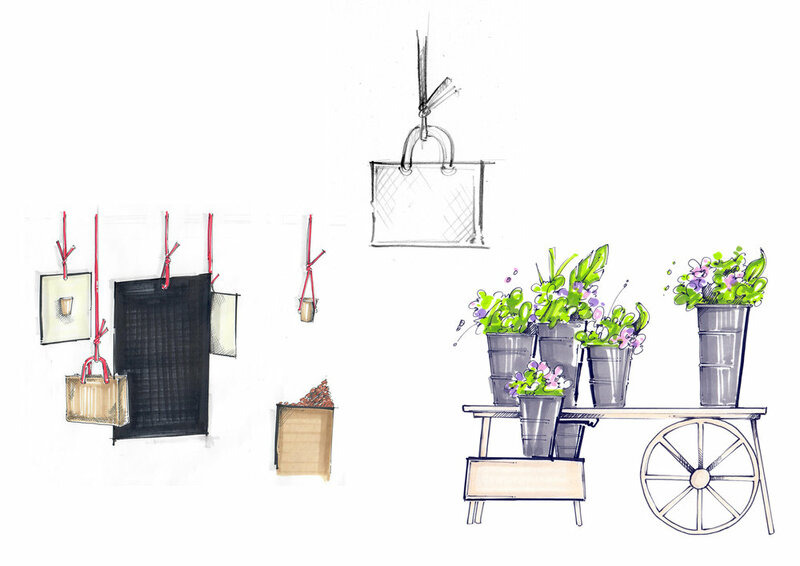 I've worked on producing both creative designs, storyboard visuals and presentations as well as mood boards and presentations within busy studio environments. To see more of this kind of work, email me at nyongalice@googlemail.com to request a portfolio. 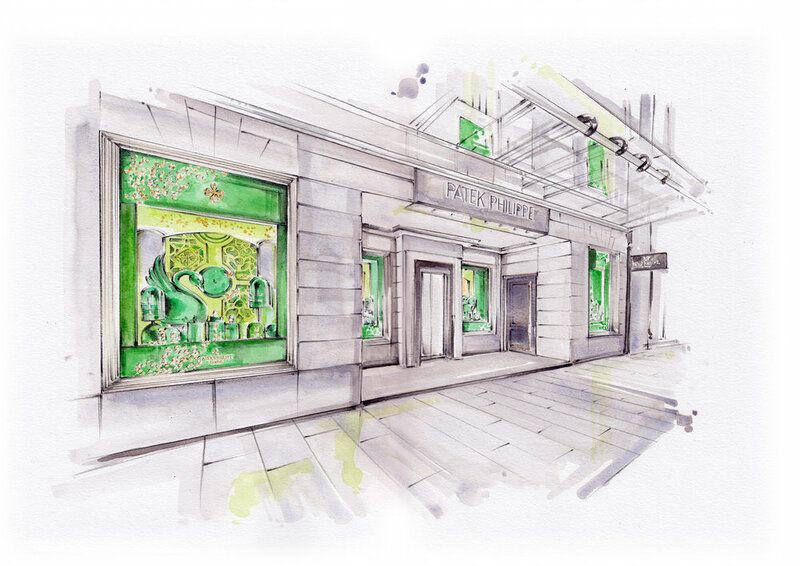 I was commissioned by a Design Agency and client to create a series of watercolour and pencil illustrations documenting some of their window displays for Christmas. The original paintings were gifted to the Brands and stores. 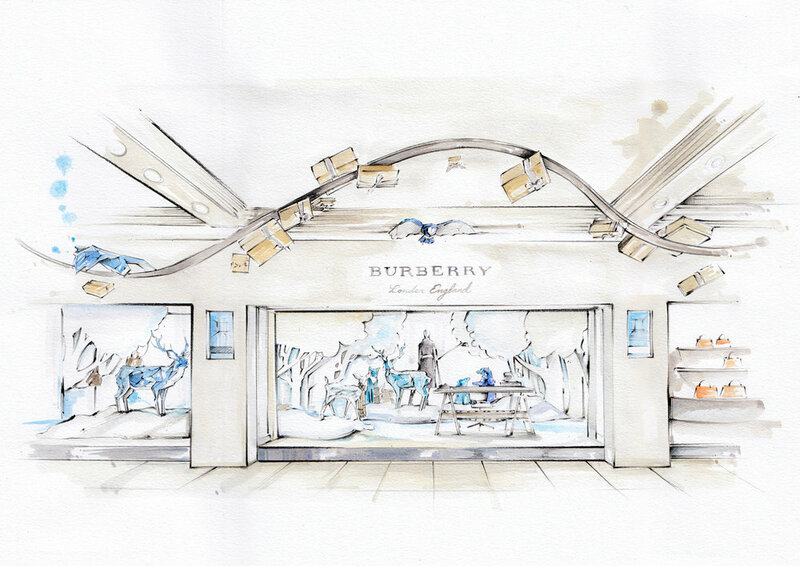 The brands featured included Harrods, Wedgewood, Patek Phillipe and Diptique. 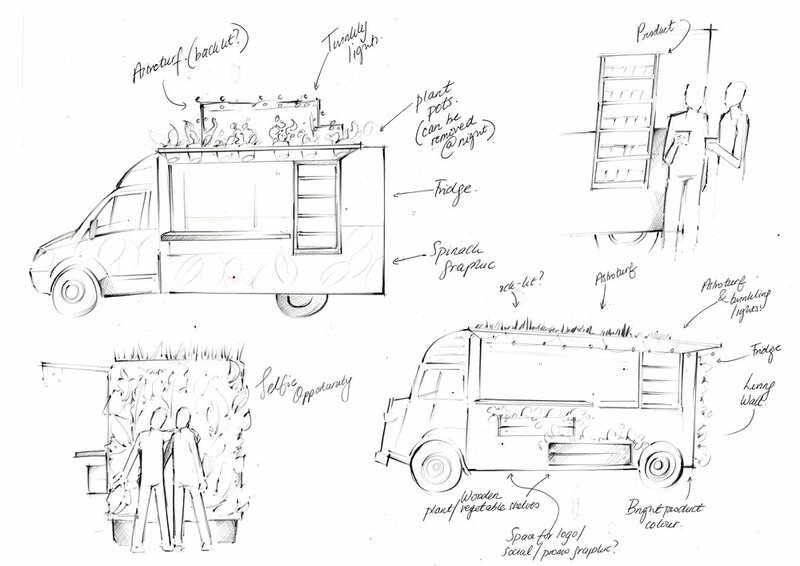 Concept Sketches for a food truck for a health and wellness company during a re-brand.